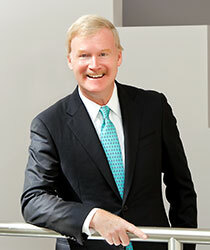 David M. Kern « James McElroy & Diehl, P.A. After graduating from the University of North Carolina at Chapel Hill as a John Motley Morehead Scholar and Phi Beta Kappa, David Kern earned his Juris Doctor from the University of Virginia School of Law. He has been a member of James, McElroy & Diehl since 1978. A native of Winchester, Virginia, David and his wife, Tori, are the proud parents of teenage twins. David is an active member of the Charlotte community and currently serves as the co-chair of the Family Law Committee for the Mecklenburg County Bar. He has also held leadership positions with several local civic organizations, and served as the Senior Warden for Christ Episcopal Church. In his spare time, David enjoys sports of all kind, particularly tennis.